Ruaidhri Higgins was the Bohemians hero as he headed home a 90th minute winner to give Bohs a 1-0 win over Drogheda United at Dalymount Park on Monday night. Raffaele Cretaro proved to be an inspired substitution yet again as it was his cross that led to the goal. He went by three Drogheda defenders before delivering a perfect cross to an unmarked Higgins, who made no mistake with a powerful header. 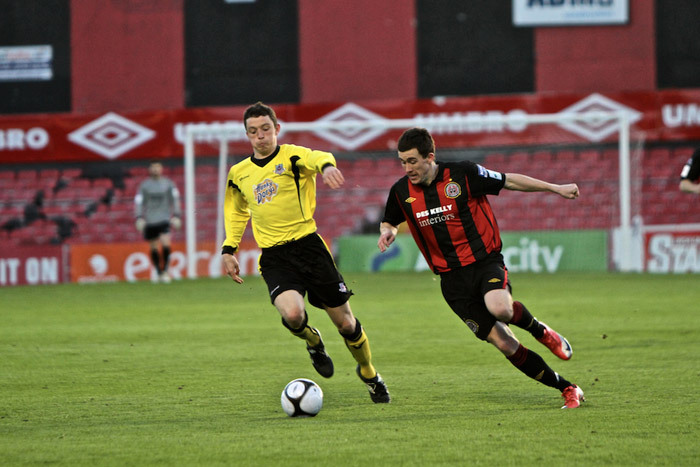 Bohs started well and almost took the lead straight from kick-off. Killian Brennan played in striker Paddy Madden, but his shot from an acute angle went high and wide over Paul Skinner's crossbar. 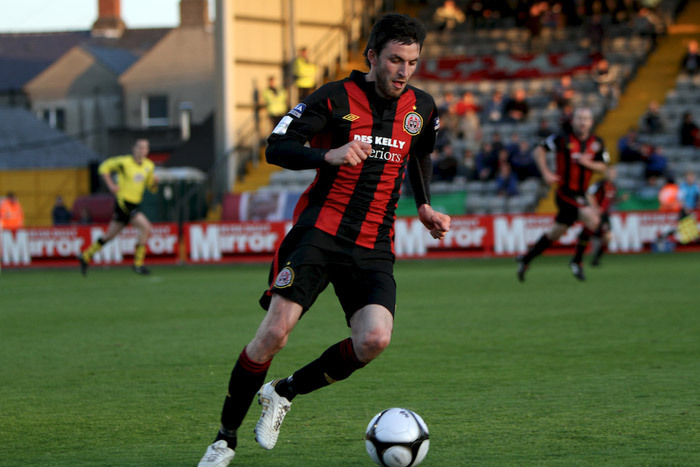 Bohs have been on a poor run of form of late, collecting just four points from their last five league games and manager Pat Fenlon was certainly looking for a response from his players, putting out a very offensive line-up. Fenlon's men came close again four minutes later. Brian Shelley went on a surging run from defence, eventually laying the ball off to Jason Byrne, who passed to Madden, but his effort was blocked by a lunging Jamie Harris. Alan Matthews' men had their first chance of the game mid-way through the first half. 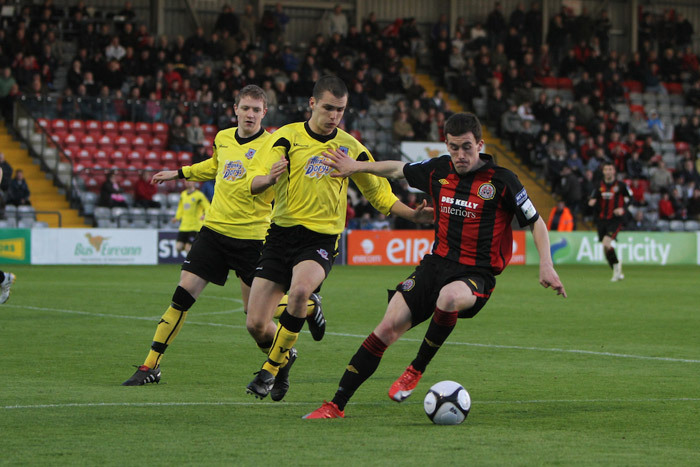 A scramble in the Bohs box led to the ball falling to Brian King but his shot was bravely blocked by Shelley. Drogheda then had the best chance of the first half when Paul Crowley, who is still wearing a face mask following his injury he picked up against Dundalk, volleyed just wide following an out-swinging corner from winger, King. 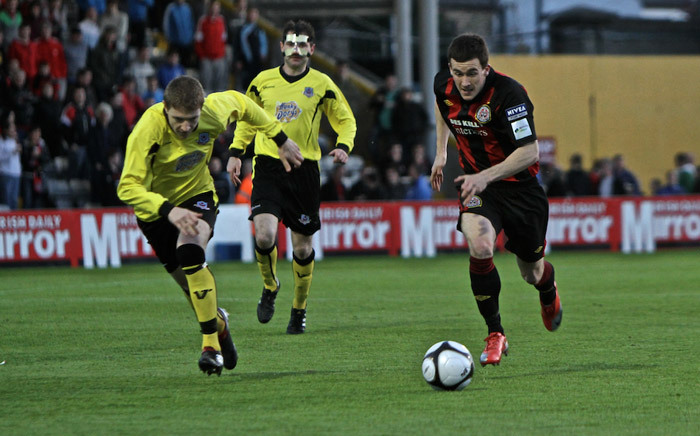 Bohs pressed hard for a goal in the first half, coming close several times. The Gypsies looked dangerous from set-pieces with Jason McGuinness, Shelley and Madden all going close. Madden's chance was probably the best of the three and the 20-year-old was unlucky not to put his team in front. Brennan's free-kick found Madden unmarked at the back post but his header was tipped over by Skinner. Much to Pat Fenlon's dismay, Bohs were denied a penalty on the stroke of half-time. It appeared Crowley had handled inside the Bohs box, but protests were waved away by referee Richie Winter. 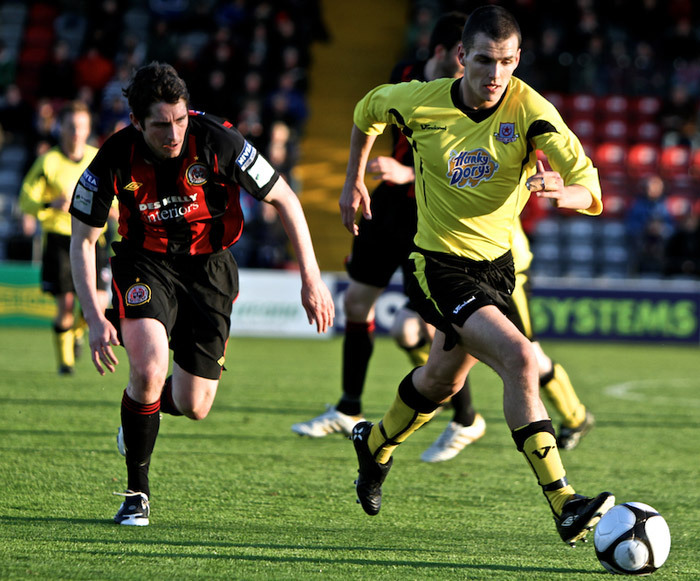 Bohs re-emerged at half-time looking to throw everything at Drogheda in search of a goal. Madden came close in the 61st minute, when his shot from 25-yards brushed past Skinner's right-hand post. Cretaro was introduced in the second half in search of a goal and he nearly got it the 75th minute when Brennan's cross was flicked on by Byrne but the new fans favourite drilled his shot straight at Skinner. However Cretaro had a big part to play in the winner. It was his inch perfect cross that found Higgins unmarked inside the box, much to the relief of Fenlon and the rest of the Bohs fans. The defeat makes it five defeats from five for Drogheda while the win pushes Bohs into fourth, just six points behind leaders Dundalk, with the Gypsies also having a game in hand.